If you’ve ever watched a bat in flight, you’ve likely come to two conclusions: first, that bats are adorable*, and second, that boy, does that look like a lot of work. Scientists have long believed bats’ flying style to be inefficient, but a new study published in the journal Royal Society Open Science shows that all that flapping could be working in their favor. Very little about a bat appears optimized for flight. In addition to their flap-happy flying technique, their massive ears and protruding features create real drag up in the air. Compared to birds, bats spend relatively little time in the air, and so it was assumed that speed and efficient flight were less important than other skills and traits. But this is truer of some bats than others. From a distance, a Brazilian free-tailed bat (Tadarida brasiliensis, also known as the Mexican free-tailed bat) in midair looks a lot like a bird, with similarly shaped wings and flight patterns. The free-tailed bat is a delicate little critter, maxing out at around 0.5 ounces, with a wingspan of up to 14 inches. Known as speedy fliers, they make their homes in caves and under bridges throughout the western U.S. and down through Central and South America. To find out just how fast these little bats could go, researchers at the University of Tennessee designed a very unusual experiment that lasted seven nights. Every evening, one scientist boarded an airplane headed toward well-known bat hideout Frio Cave, located about 80 miles west of San Antonio, Texas, while another waited at the mouth of the cave with a handheld net. As the bats emerged to hunt, the researcher by the cave netted a female bat, glued a lightweight radio transmitter to her back, and set her free. 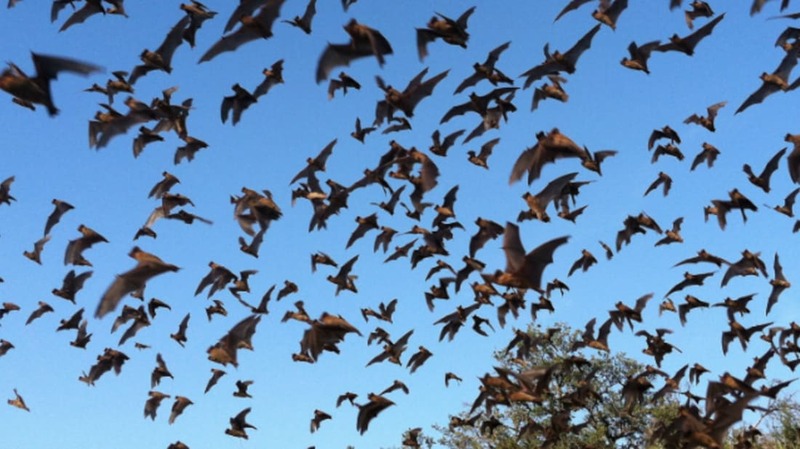 The researcher aboard the plane tracked the bats’ movements in real time. And gosh, those bats were moving. Individual bats reached ground speeds of up to 100 miles an hour in little bursts—faster than any other bird, let alone bat, ever recorded. Contrary to expectations, they also negotiated wind currents the same way birds do—increasing their speed into a head wind and easing up when the wind was at their backs. *Disagree? Just look at these faces.